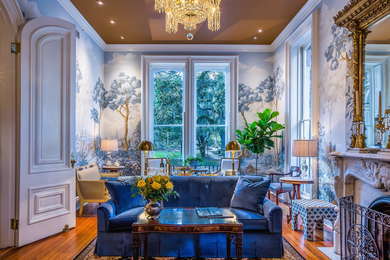 With bathrooms the size of New York City apartments, this French-Empire mansion is celebrated, if not in song, certainly in story, and certainly has a "wow" effect, especially the rooms that front Lafayette Square. It was built ostentatiously in 1873 by Samuel Hamilton, Savannah's then-mayor (who made money as a blockade runner during the Civil War) and then rescued from further ignominy in 1997 by a wealthy Savannah couple, who did the initial restoration. Current owners Gay and Jim Dunlop sank their money into a massive restoration that returned the home's former glory. The original arched doors are 15 feet tall. 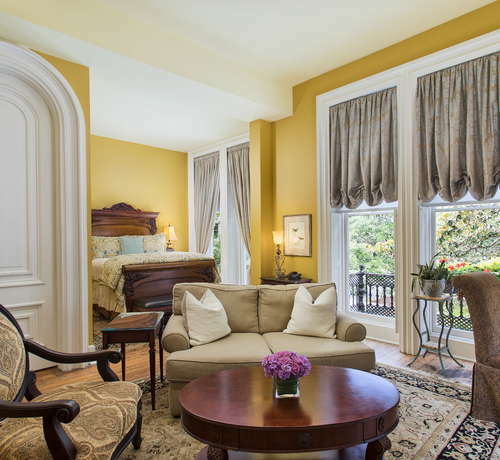 The carriage house is the most private room, though not as atmospheric. The Dunlops strive for perfection, and the Southern mansion breakfast has baked items such as scones and hot entrées like perfect eggs Benedict. The afternoon reception features quality wine and both hot and cold hors d'oeuvres. YOU SHOULD KNOW The hotel is unable to accommodate children under 10 years old. 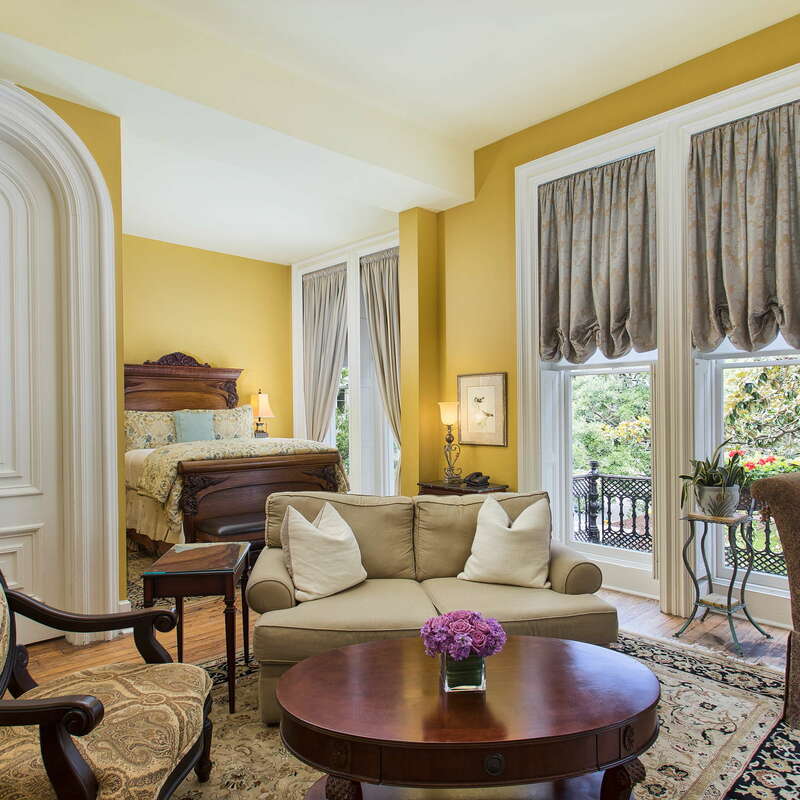 Tasteful color schemes and framed art match the relaxing mood set by a view of one of the most picturesque neighborhoods in the city. The beds and linens are top notch. 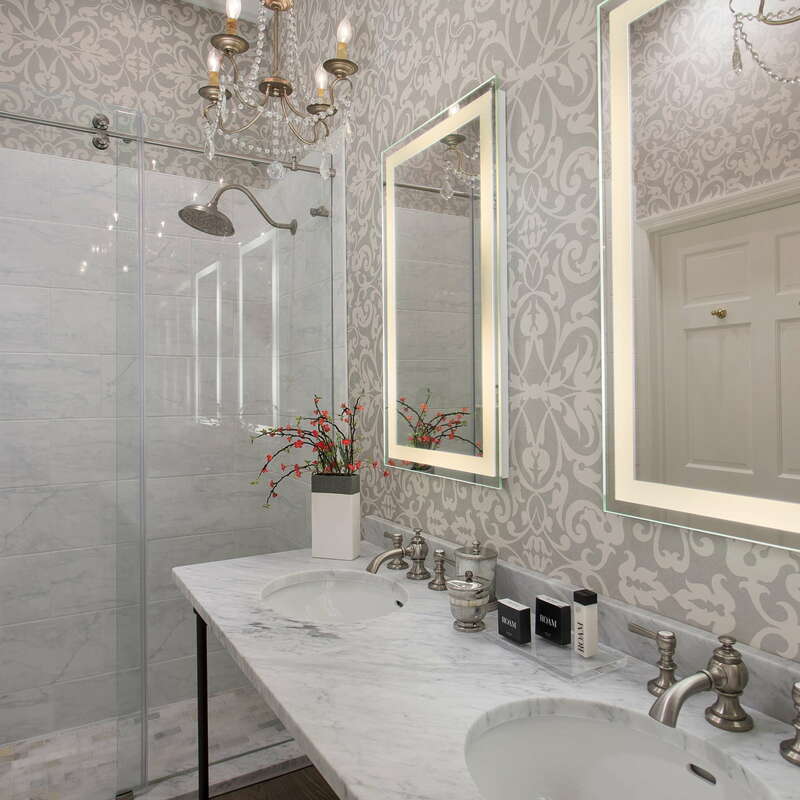 The meticulous design elements contrast beautifully with the exposed original brick walls. YOU SHOULD KNOW The inn has pet-friendly accommodations on the garden level for small pets (25 pounds or less). There is a $50 nonrefundable charge per stay, and pets are not allowed in common areas. 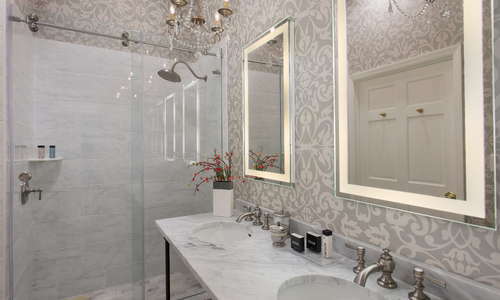 Marble countertops and tasteful, elaborately patterned wallpaper are the first things that draw the eyes of a guest. The deep soaking tubs and the walk-in showers (all designed for space and comfort) are recently renovated. Taking in the stately facade, guests ascend a short, exterior staircase to the towering antique front doors. Once inside, visitors pass a cozy sitting room filled with plush seating and follow the hallway down to the welcoming dining and social areas. 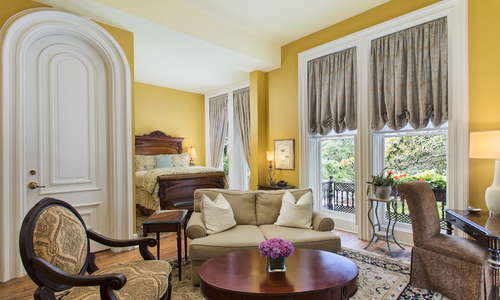 The front desk is staffed 24 hours a day, a rarity in even Savannah’s top-of-the-line B&Bs. Do not miss the delicious southern breakfast each morning, chef-prepared and made to order. Hors d’oeuvres are offered each evening. Gather in the parlor in the early evening for wine with your hors d’oeuvres. Late evening port is served seven days a week. Stop by Mirabelle Café (2-minute walk) to sample a fruit-topped Liege waffle, the sister of the Belgian waffle. Other sweet and savory treats accompany delicious coffees and teas. After lifting the original Charleston restaurant to international renown, James Beard Award-winning Chef Sean Brock recently unveiled his latest iteration, Husk Savannah (10-minute walk). Make sure to book far ahead, as everyone and their grandma is trying to grab seats at these tables. For a more laid-back atmosphere, swing by Hitch (3-minute walk) and feast on one of their hyper-creative American dishes. Serving more than 40 wines by the glass, In Vino Veritas (3-minute walk) also offers fine cheeses to pair with them. Looking for the best cocktail in town to drink in an exquisitely designed room? Look no further than Artillery (5-minute walk). It would be hard to argue that the Hamilton-Turner Inn isn’t close to the very top of Savannah’s finest B&B totem pole. The owners have spared no expense maintaining this exquisite historical home.